The Centers for Disease Control (“CDC”) report that an average of 3,536 people died each year due to unintentional, non-boating related drowning in the United States between 2005 and 2014. This is works out to about ten deaths each day. We suspect the deaths are heavily concentrated in the warmer months (and in warmer climates). Non-fatal drowning incidents can also be extremely serious and victims may require life-long care. The CDC notes non-fatal drowning can cause serious brain damage including learning and/or memory problems or even leave a victim in a permanent vegetative state. More than half of drowning patients treated in ERs required hospitalization or transfer for additional care. This is compared to a 6% hospitalization rate for all unintentional injuries. Under the law, the owner of a swimming pool is responsible for the safety of users. This responsibility extends to uninvited guests. California law requires pools built or remodeled after January 2007 include at least one of seven listed drowning prevention measures such as a separate pool enclosure, door alarms, or a swimming pool alarm that sounds upon accidental or unauthorized entry to the water. These rules cover hot tubs and Jacuzzis in addition to traditional swimming pools. If a land owner fails to comply with these rules, the owner is strictly liable for an accident or drowning. However, the fact that a pool complies with the regulations is not, in itself, an absolute bar to liability. Many localities have additional safety requirements. If a drowning or other pool injury occurs, there are three primary theories that can be used to hold the owner legally accountable for the event. 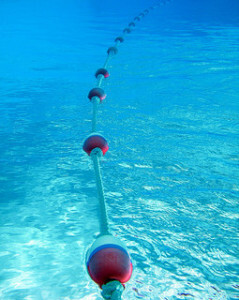 Premises Liability — Most pool drowning civil suits rely on a premises liability theory. This doctrine holds an owner or occupier liable for harm due to a defect or hazard that the owner knew about or should have reasonably know about. Of particular note is the attractive nuisance doctrine that imposes a special responsibility for facilities that might attract and injure a curious child. While typically applied to landlords/owners, premises liability principles can also to hold tenants or occupiers liable to others who enter the property such as if a tenant fails to repair a broken latch on a pool gate. Negligence – Negligence is the failure of a person or entity to take the care a normal person would exercise under the circumstances. Liability under a negligence theory can apply to a wide range of people/entities such as a pool maintenance service that fails to secure a gate lock, an inattentive lifeguard, or a construction company that fails to install safety devices properly. Negligence per se is a form of strict liability that holds a party liable if they have violated a law and that violation led to injury or death. Products Liability – If a defective product (e.g., an unsafe pool drain) leads to injury/death, products liability law can hold the seller and/or manufacturer liable. Other legal concepts may apply in certain cases. These are all civil law concepts, meaning a victim or, in some cases, the victim’s family can use the theories to recover compensation from the person/entity at fault. To be clear, there is no reason to suspect that the death of the young boy in Rohnert Park was anything other than a tragic accident. We urge all of our readers to exercise caution in and around swimming pools. The “Prevention” tab on the CDC’s Unintentional Drowning page contains useful tips including teaching all children to swim, avoiding alcohol while swimmin g or while supervising others near water, avoiding reliance on toys as safety devices, and installing proper fencing around pools. Additionally, keep in mind that drowning is often silent and rarely involves the violent thrashing around that many of us imagine. As always, prevention comes first, but we are here if a preventable tragedy strikes. Civil lawsuits not only provide the victim with compensation, but also serve as a sharp reminder that safety must always be a top priority. 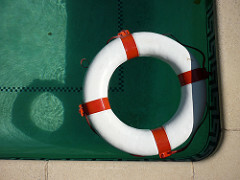 Call our drowning injury law firm in Santa Rosa, San Francisco, or Oakland to learn more. Attorney Greg Brod has experience advocating for victims of all ages and is particularly proud of his work as a Northern California child injury lawyer and child wrongful death lawyer. These cases are emotional for our entire team, but we are honored to help families confronting their very worst nightmares.